A Jew who grew up as a neighbour of Adolf Hitler in Munich has written a book detailing life next door to the man who would become one of history’s greatest mass murderers.Edgar Feuchtwanger, 88, was five when Hitler – boss of the rising National Socialist German Workers Party in Munich – moved into a palatial flat at Prinzregentplatz in 1929, opposite his family home.Hitler was to keep the apartment there right up until his suicide in April 1945, but was seldom there after he became chancellor of Germany in 1933.‘It all sounds so cosy when I talk about how I lived in the same road as Hitler, like it was not a big deal,’ Edgar said. ‘But it’s so difficult to think that people you saw almost on a daily basis were responsible for turning the world upside down.‘Hitler would come to Munich at weekends. You could tell he was at home because of the cars parked outside. I remember seeing him once when I crossed the street with my nanny. He looked straight at me, I don’t think he smiled. 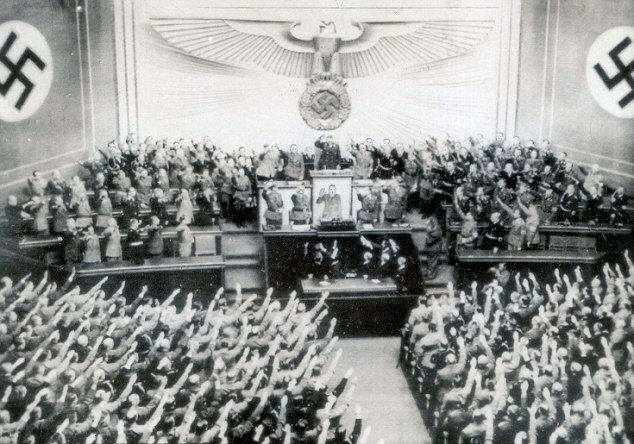 ‘A few people stopped and shouted ‘Heil Hitler!’ In response, he raised his hat, like a democratic politician might do before driving off in an awaiting car. Of course I knew who he was, even as a little boy. As chancellor he was dominating the whole scene. ‘On my walk to school I used to admire the gleaming silver Mercedes coup coming and going from the underground garage at the villa of Heinrich Hoffmann, Hitler’s photographer – and employer of Hitler’s mistress, Eva Braun. ‘The parents of a schoolfriend of mine lived next door to Hoffmann, and I remember, probably after the beginning of the Third Reich, Hitler sitting quietly in a deckchair in the next garden. ‘But there was a sense of menace in the air, which even as a child I could feel. 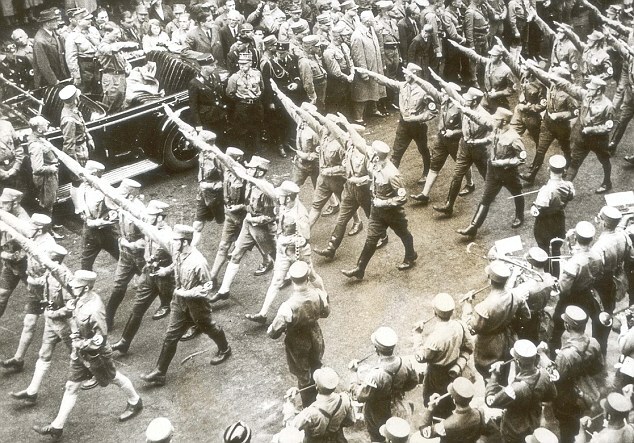 In the days before 30 June 1934, later dubbed the Night of the Long Knives, the atmosphere was particularly oppressive. This was when Hitler eliminated the leadership of the Brownshirted SA – Stormtrooper – movement because he felt they posed a threat to his power. He went on: ‘I was woken up by the slamming of car doors, boots clattering on the pavement, and raised voices. I craned out of the window, which I was just tall enough to do. A long line of cars was parked outside Hitler’s apartment block, and men were rushing in and out of the door. ‘As a historian, I now know that Hitler had been laying plans to crush the storm troopers. Their leader, Ernst Roehm, a thick-set, brutish-looking man whom I once remember seeing leaving our local polling station with his mother on his arm, wanted a bigger share of the spoils of office. 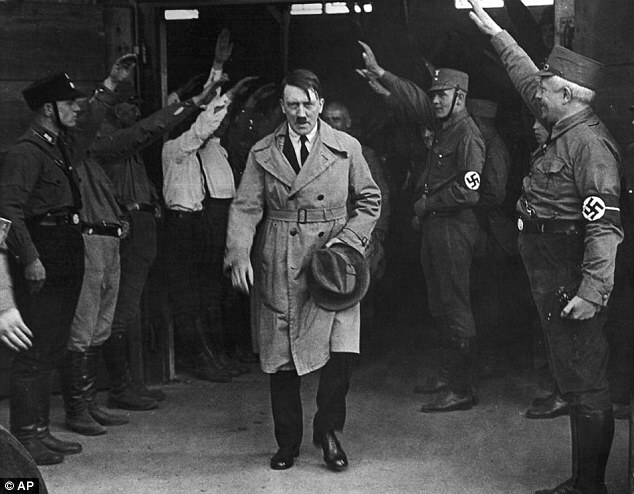 Hitler feared an SA confrontation with the army generals, whose support he needed. ‘In the early hours of that Saturday morning, Hitler had torn off the insignia of rank from arrested leaders of the Munich SA and handed them over for execution. He recalls another occasion how his mother once quipped that there was no milk for them on the doorstep one morning ‘because the milkman has left so many bottles at the door of the Hitler residence’. 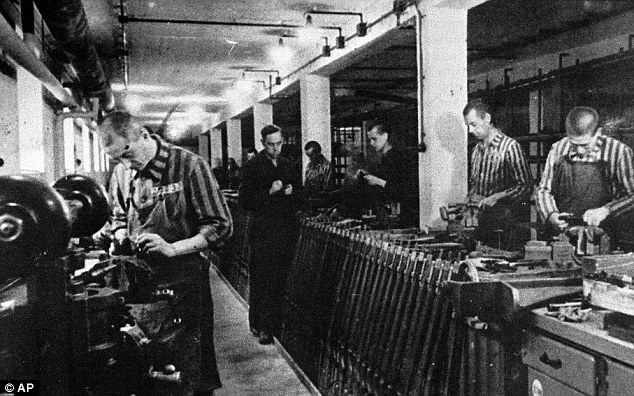 Edgar said there was always a ‘screeching of brakes’ and the running of a ‘posse of bodyguards’ which indicated when Hitler was back at his home. 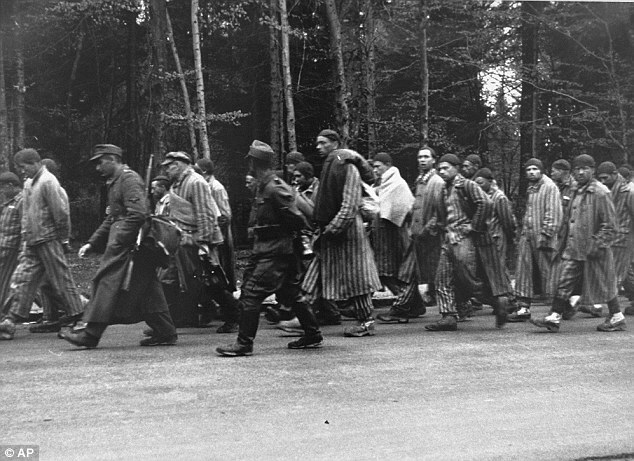 After the state-sponsored Kristallnacht – Night of Broken Glass – pogrom against the Jews of Germany in November 1938, Edgar’s father was arrested and flung into the new concentration camp of Dachau on the outskirts of Munich. Luckily he managed to get released after six weeks and escaped with his family to the UK. Now living in Aveyron, France, Edgar wrote his memoir My Neighbor Hitler: Memories of a Jewish Child with the aid of a French journalist and it is being released next week.